Don’t get left stranded at sea with an RACQ boat insurance policy, this story is somewhat disturbing Paul Klerck owns a family Jet Boat the jet drive was destroyed by sucking in coral rubble, after more than 3 months of debate RACQ insurance agreed to the repair quote of $13,500 however at the time they said the repairer wanted to be paid in advance and they could not pay him but they could pay me direct as full and final payment I said no if you pay me and there is still a problem what protection do I have, oh don’t worry Mr Klerck RACQ will not leave you high and dry well 6 months later we are still dry docked as I battle it out with RACQ Boat insurance as they went back on their wording don’t worry Mr Klerck we RACQ insurance will not leave you high and dry our obligation is to put you in the same position as to what you were in before the incident. But now the assessors have come in and said the additional engine damage was caused by me driving the boat under powered from Great Keppel Island to the marina I could not raise VMR as our phone had no range. I had 3 little children hot and tired I was stressed with this and as I am battling brain cancer since Anzac day 2014 I was becoming so worried that we would not make it back we got a partial way tow to the front of the marina entrance from a kind passer by. But it would appear the damage was already done to the engine not only the jet drive. This was also the repair agents concern this is why he would not give me a 100% fix guarantee as he said the engine and block maybe damaged as it is this is the case but now RACQ say you only have $15,000 cover on your motor so you have $1,500 credit I fought this saying payment already made is irrelevant as I never agreed to a full and final settlement but regardless RACQ gods will not honour my repairs so much for their we will not leave you high and dry so now I am left with either accepting a $5150 goodwill payment and I have to come up with the other $5150 to replace the engine. My answer was no way I have fought brain cancer for my wife and children since 2014 I was given 3 weeks to live at Christmas with acute B Cell Lymphoma of my Central Nervous System so I will be stuffed if I don’t fight RACQ they have a policy holder obligation and moral obligation so today I start with a viral awareness campaign against RACQ I will be going to the media and TV The Project have already shown interest in running a public awareness story in regards to Father of 5 children, 3 of which are under 5 goes to war against his brain cancer and RACQ. Paul Klerck will be hitching his boat up after it is all sign written with Don’t Trust RACQ Insurance regardless of payment promises on fixing the boat they are now refusing to cover total cost they will only cover 50%. 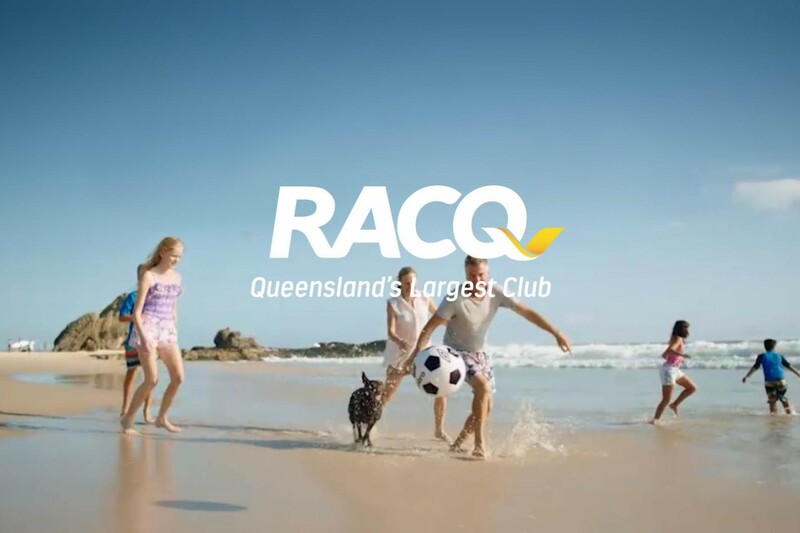 Would you trust RACQ Insurance. So where to from here I will be filling a QCAT Claim today for the full outstanding repair, a good friend will be wrapping my boat in an advertising wrap that I will tow and park out the front of RACQ insurance in Rockhampton and the Roselyn Bay Marina Boat Ramp this will become a mobile billboard that will read the following. RACQ will not repair my boat after promising they would after a partial repair failed to fix boat engine. So brain cancer patient Paul Klerck says he battled a brain cancer death sentence so he will battle RACQ. I will be going to the media and evidencing all correspondence between RACQ, myself and the repairer and turning to social media to battle Queensland’s largest club and highlighting them for who and what they really stand for. It is great that my friends are backing me even Leigh Williams owner of Regional Waste will be place don’t trust RACQ Insurance they fed policy holders rubbish and don’t pay. This will look great on more than 15 large rubbish trucks. I always say if you believe in something strong enough you need to fight for it if not you will come off second best I am a fighter and will not back down until RACQ acknowledge and settle my repair and claim in full Paul Klerck states. large Paulownia Plantation a Worldwide Investment Opportunity Act Now! Add a Paulownia Tree plantation to your investment portfolio or your self managed superannuation policy. Contact us today for investment opportunity we currently have a plantation available with mature Paulownia trees some ready to be cut and turned in to dollars fast. This is the real deal people not a scam but read on or sign up now www.cashbackfurnace.saivian.net.au these guys are awesome they guarantee you founder position within 7 days of signing up with Saivian finally an MLM team building team that works with their affiliates to succedd. Many are asking this question, since this company has entered the marketplace with such an outrageous compensation plan, and a highly unique 20% cash back program. Many people look at a particular offer, and then use the old statement “If it sounds to good to be true, then it’s too good to be true.” This statement causes many to never succeed, with the ones that don’t have this philosophy being winners. SO WHAT IS SAIVIAN ANYWAY? any other membership programs out there that you ‘join’ to achieve some benefits. 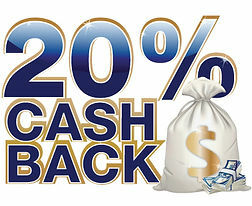 The ‘benefits’ in this case are getting 20% CASH BACK from ANY RETAIL purchases ONLINE or LOCAL including items like GROCERIES, GASONLINE and RESTAURANTS. Saivian is a BUYING CLUB that offers its members 20% cash back on purchases up to $1,200 per month, $300 per week. Their is a charge for this which is $125 every 28 days. In other words this is charged 13 times per year. So if you are spending $300 per week you will make an additional $115 per month. So you are almost doubling your money every month by getting cash back on your purchases. Thats a 92% return on your monthly expense. There is a way that you can get your membership for free which we will talk about later, which will give you 192% return on your monthly expense. The cash back is on anything you spend money for using a debit or credit card. All you do is enter your purchases, from your receipts, into your back office and when you accumulate over $125 you can draw your money out. The process is easy and straightforward. The only problem is that you might have a 60 day window when you first start because you have to spend the money first, and it takes approximately 3o days to process your cash back. The Saivian program is an affiliate program so when you personally invite 3 people to join the buying program you will begin to receive $5 per day paid in your account. As your affiliates invite other to join the buying club you will begin to earn more money. If you are really good at inviting people who use the program you can earn as much as $3,000 per day. This is why many people go to the internet and look up whether the company is a scam or not. When people are getting 20% cash back on purchases and getting paid large sums of cash the scam antenna goes up and people look for reasons not to do it. Here is a compensation video to watch and learn how the pay system works. ARE THE PEOPLE BEHIND SAIVIAN EXPERIENCED AND DO THEY HAVE MONEY? If you are reading out there that our leaders are not reliable and have lawsuits against them, Things happen in companies that are NOT always the fault of the owners, in a log of cases it is bacause of other extenuating circumstances that cause problems like in the case of one of our ‘consultants’, Eric Dalius who has been written about numerous times both postiive and negative. But the bottom line is the he is EXTREMELY knowlegeble when it comes to the Network Marketing industry and his knowlege is definitely going to BENEFIT Saivian. With that said, if you have heard about the ‘negative’ lawsuits, you can read all about Erics’ complete exoneration in which they the public defender not only dropped its case against him but went after the financial institution that brought the original lawsuit. The exciting part of all of this is that there are tremendous leaders with valuable knowledge about our industry; everything from building/supporting massive organizations to running large scall network marketing marketing companies. Additionally there is money behind the company as well. WHY ARE PEOPLE FLOCKING TO SAIVIAN? THE CONCEPT: In almost ALL network marketing opportunities people have to ‘convince’ people to buy/do somthing that they are not already doing; which creates a ‘sales’ type of feel when people share the product/opportunity with others. In Saivian we simply offer a membership, that enables people to get 20% CASH BACK on purchases they are going to purchase ANYWAY… Because of the Facebook model of traking what people like, we are able to working with retailers to track what people BUY. That means there is no guesswork when it comes to whether someone is going to buy a certain item…they already bought it. This information is extremely valuable which makes our membership valuable to the retail advertisers out there. To learn more about how you can become a part of this amazing and powerful business model all you have to do is click on the button below and you will be directed to opt-in to our system. As mentioned this is an affiliate program and has financial benefits as you bring in friends to the buying club. This program is unique and is attracting people from all over the world. I would classify this program as a total HERO, since it provides benefits to people looking for relief in this day and age where incomes all over the world have not risen in pace with economies. If you want more information please just click the button below or fill out the form and we will contact you personally to answer any questions you might have.